An easygoing pace that Nature deems fit is characteristic of Shillong hill station. Taking a mild walk or riding slowly a vehicle on the road alongside Khasi hills gives many glimpses of the valley and a clear perception of the beauty epitomized by Nature in the capital of Meghalaya. Showering drizzles and cooling breeze of Shillong bring along an unmatched joy experience. A yearning of being able to see far and beyond the vantage point of the road is only obvious. The more of the place is explored, the more playful ways of Nature gets revealed. For its resemblance to the civilization established in the rolling hills of Scotland, the place at 1,966 m altitude is often referred to as 'Scotland of India'. Shillong holidays would only emphasize this comparison. 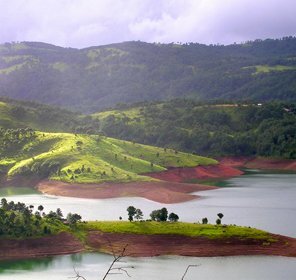 The Shillong plateau on which the city is located is surrounded by hills, main of which are Lum Sohpetbneng, Lum Diengiei and Lum Shillong- an object of worship for the locals. Somewhat forgotten British imprint still catch the fancy of exploring visitors, because it is not possible to tug free of the history. 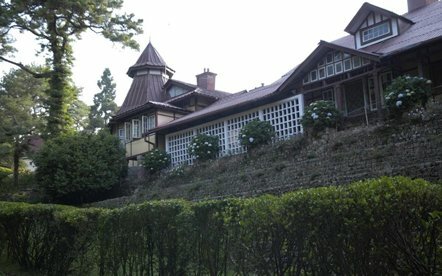 Sooner or later Shillong tourism reveals what it was to be a part of English idea of civilization, prominently in its architecture. 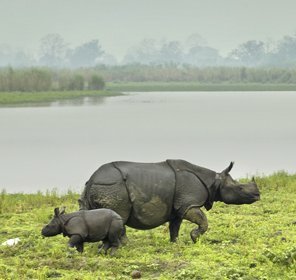 The once capital of undivided Assam, the hill capital now welcomes eager travelers in its new world. Very easily people find themselves lost counting the ways Nature on hills can surprise them. The same theory applies in Shillong as well, especially during monsoons. Briskly walking locals, enthusiastically searching tourists, shyly honeymooning couples and the people engrossed in routine life, together with pleasant climate present an admirable picture. Originally built in 1913, the cathedral was destroyed by a fire in 1936. Rebuilt in 1934 in the same site, the place attracts numerous tourists for its beauty and religious significance as well as the aspect of antiquity. The antiquity of this worship place is never questioned ever since it came into existence, though it was destroyed in 1897 in an earthquake, rebuilt again in 1902. The influence of British could be seen in the colonial architecture. 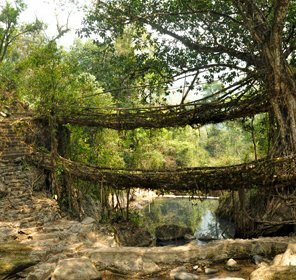 Shillong travel is studded with numerous falls that come alive with vigor during monsoons. Some names that are worth mentioning include Beadon, Bishops, Crinoline, Elephant Falls, Spread Eagle and Sweet falls. 17 Km from Shillong and visitors can enter in a different world- a water sports complex facilitating activities like yachting, paddle boating, kayaking, water cycling and scooting and many such fun. Call it 'Polok', it still remains the same lake, though manmade but nothing short of amusement. Designed in a horse-shoe shape, it serves as an ideal spot for picnicking, studded with many recreational activities. The art and culture of Shillong can be experienced encapsulated in this place. It showcases the history of tribal people living here and handicraft they create. To imagine what the place would be like is not difficult if its meaning- 'The Navel of Heaven' is known to a visitor, as it was believed once that local tribes planted a tree that serves as connection to God. At 1,343 m, the sight would not allow to breath for a moment. The location of the place is roughly 56 Km away for everyone who is visiting Shillong. 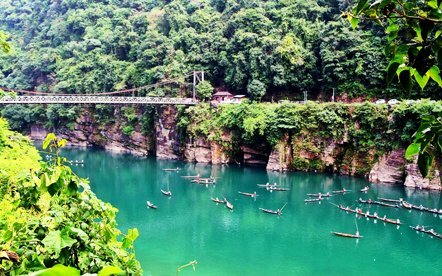 These caves are a must-see if visit to the Meghalaya capital is like once in a blue moon. The name tells about its British connection with Lady Hydari- wife of Governor of Assam but rest is to seen to enjoy. Its celebrated features include mini zoo, landscaping in Japanese style consisting orchids and other plants and more. If passing time in the most leisured way is on the mind, coming to Laban and playing in this golf course is something to be tried. Among some of the oldest fields to play this game, it never fails to remind people of its British origin. All the things of necessity can be found in this market place, which is conveniently located near bus stand of Shillong. Other such markets that would be worth trying are Motphran and Bara Bazaar. The museum came in to existence to study and thus conserve rare species of various butterflies and moths. Glancing over 1600 species can be a whole new experience. Dates back to 1954, the museum is located in Nogrim Hills. Various types of specimens are displayed for casual and scholarly observation, during 10 AM to 4.30 PM on weekdays. The highest peak of the area with 1,965 m altitude, this one also offers sights that couldn't be forgotten easily if one opts to come in its vicinity. Legends and myths believed by the locals also make it worth to have a look and be marveled but that has to be admired without Camera due to safety issues. The place would seem slightly different with no fans in the room but not those who are in habit of sitting in accommodation with air conditioners only. Nevertheless the place is an exquisite amazement in all the months of the year, which is why booking rooms of the Shillong hotels and resorts in advance would seen as a thoughtful act to go along with. Best time is considered to be from September to May, however to enjoy eight waterfalls and lush greenery in the area no season could be better than Monsoon. Shillong is connected with Kolkata with its airport in Umroi, however travelers from locations like Delhi, Imphal, Kolkata, Aizwal, etc can fly to Guwahati, separated by 100 Km to reach Shillong conveniently from there on. 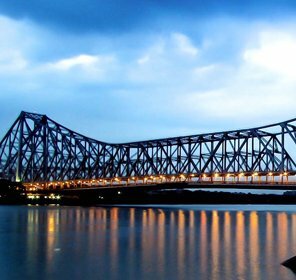 Guwahati is the major railhead for Shillong connected with other major cities of India. From many northeastern cities and towns, regular bus services (both public and private) could be used to get to Shillong.